Denys is long time Oracle DBA who loves sharing his experience with new platforms and helping others to avoid costly mistakes, made by Denys in the past. 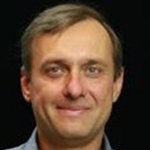 Join long time Oracle DBA Denys Dobrelya to listen about real world user experience and practices of deploying Oracle 18c on AWS. Use Cases may be presented by one of AWS Customers or Partners, supported by demo of relevant AWS technologies for Oracle database. Denys's presentation is aimed to improving Oracle DBA productivity in the Cloud and awareness of technological challenges. Note: This material follows and logically extends previously presented "Oracle on AWS" OUG session.